If you’re considering teaching English abroad, one of the first decisions you need to make is whether or not you will get a TEFL certificate. A TEFL (Teaching English as a Foreign Language) certification is a standard credential for teaching English in any foreign country, and are most often considered lifelong and internationally-recognized. Obtaining this certification usually involves a course during which you review English grammar, learn about teaching techniques and practice teaching, and can be done at home or in a foreign country. If you’re deciding if this is something you need to do, read on for more information about whether or not you really need a TEFL certificate. 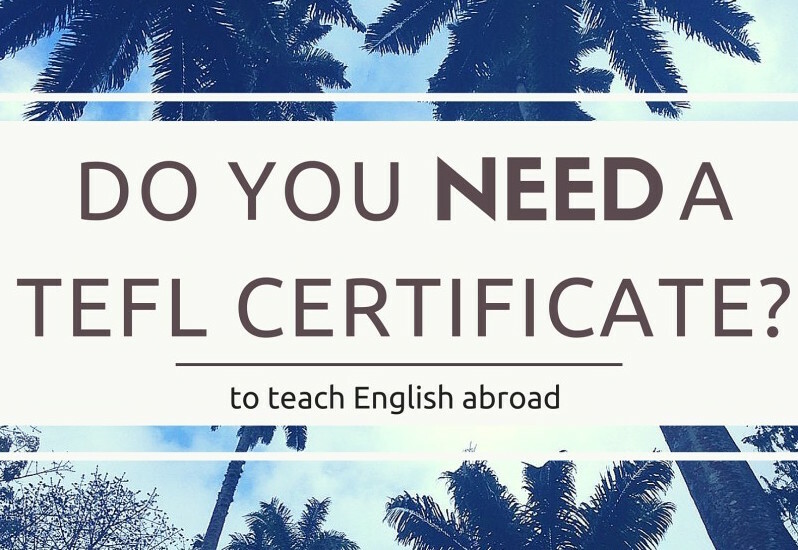 So, do you need a TEFL certificate to teach English abroad? It completely depends. It depends on where you want to teach, the type of teaching you want to do, your experience, and how long you want to teach for. The two ways I find most valuable for deciding if you need a TEFL certificate are: who will require it, and do you need it for your own benefit? What exactly is a TEFL certification? TEFL certification courses come in every shape and size. The main point is that they will teach you how to teach English as a foreign language in non-English-speaking countries. TEFL course requirements may vary, but for the most part you are required to be a native English speaker (or at least speak at a native level), you must have graduated from a four-year university (although exceptions are made for this all the time), and you do not need any prior teaching experience. Once you enter the course, you will often review grammar, learn teaching methods, practice teaching, and be graded in all of these areas. At the end, those who pass receive the certification (it’s rare to take the course and not pass). The most basic TEFL certification courses can be found online, and some only cost a few hundred dollars and claim they can be completed in x numbers of hours (sometimes as little as a week or two). Be wary of these. These are sort of the “shortcut” courses, and will advertise being a low-cost solution to in-person courses, but many of the companies are not well-known and may not be recognized by schools you want to teach at. If you are considering one of these, know that you may get what you pay for (and that may not be very much). If you find a reputable school offering an online version of the course, this is a better alternative in terms of recognition (still, it’s not as good of a learning experience). The standard are location-based, one month long courses in which you are taught everything you need to know about teaching English as a foreign language. This comes in many brands as well, is done by many international companies, and prices can vary from about $1-3,000 USD. Since the certificates are international, you do not necessarily need to do it in the location you want to teach in (especially since some people plan to teach in multiple places over time), but for your benefit you’ll find a better value in taking it in the place you plan to start teaching. The supreme version of TEFL courses is the Cambridge CELTA. Sometimes taking a couple months, or being done as a college course over a semester, this is the most challenging and esteemed recognition. This is usually a few thousand dollars, and not everyone will pass. You will never have a problem getting a job with the CELTA certificate, but it may be excessive for many people. 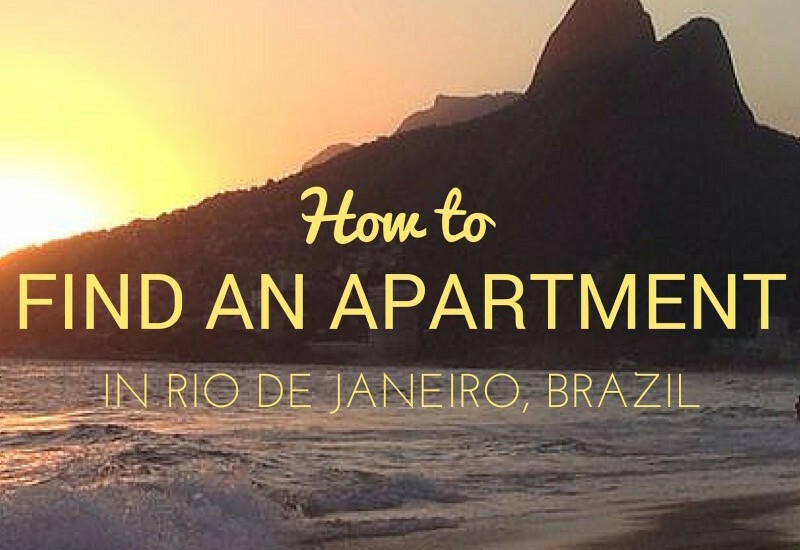 I did a standard TEFL course through Bridge Brazil in Rio de Janeiro. You can read more about that one here if you’d like. TEFL Certifications are required in most parts of the world to teach, and despite being a little expensive are very, very worth it. Even as a hard-core budget backpacker, I fully recommend it if you plan to teach for at least 6 months. Do you need a TEFL certificate to know how to teach? This is a personal question you need to ask yourself. For many people, the country you want to work in will require a TEFL certificate, and that will decide it. Of course, there are many people who don’t want to spend the time or money, don’t think they need it, etc., and are wondering if you actually need to take a TEFL course for the experience and not simply to show the credential. What’s the value of these courses? Being a native English speaker alone doesn’t make you qualified to teach and be paid for it. Yes, there are certain things you know, and there are absolutely things that you can teach that a foreign speaker may never be able to, but there’s a reason people get degrees for teaching. It’s a skill that takes practice. The three things that I think validate why you need to do a TEFL certification course (or something similar) to be able to teach: reviewing the grammar, learning teaching strategies, and getting to practice before the real deal. The grammar. How many times has someone asked why we say something a certain way, and your first thought is…that it just sounds right? Yea, that’s a fine reason when you and your friends are sharing beers and laughing, but nobody will pay you for that response. You need to know the rules of grammar, and you’ve probably learned them when you were 12, but you don’t know what you don’t remember until someone asks you. Better have someone quiz you on when you should use the past perfect versus present perfect in the course rather than in an interview (or in front of 15 business executives and your boss mid-class). Also, there are ways to explain grammar rules that you never would have learned in a class full of English-speaking teenagers. But how to present a grammar point to someone who speaks Korean? How to explain when on a timeline you use different tenses? The names of every obscure part of speech? It’s very normal to not even know what those things I just listed really mean, and that’s one of the reasons a TEFL course is so valuable. Learning teaching techniques. Overlapping with how to present grammar points, but imagine you are standing up in front of a class and your topic today is explaining the past tense. Simple enough. They only speak enough English to get to the past tense, so that’s pretty basic. How do you convey this concept? Maybe one of the students is shy and is lost, but the other students are answering all of the questions. How do you engage that student without losing the others? It all seems simple enough, but when you think of people looking at you and the exact steps you should take to do it, you’ll only know the most effective ways if someone has taught you. You’re not only teaching content, you’re being a classroom manager, a leader, a therapist, and you have to know how to respond to all different types of students at once. It’s rarely instinctual. Practice. I never imagined I would be nervous, but standing in front of the first class (even if it’s once person), basically every new teacher begins to sweat. Literally. It’s a type of performance. It takes a handful of classes before you can calm down and think clearly, and many more to actually have students walk out knowing the thing you were supposed to teach them. Don’t forget- there are tests for these students. So if you wing it and they don’t learn what they were supposed to, you’re not going to have a job much longer. The practice part only comes from the TEFL courses with a classroom, and frankly I think it’s as important as the other parts combined. It can be a harsh reality going into your first class, grammar and teaching knowledge and all, without every having taught humans. If you do a recognized TEFL course with a classroom (there are many), it may cost double online but I guarantee it will pay for itself when you have a much easier time getting work and have the amazing feeling of being a good teacher and watching students learn. From a need-based perspective, consider that some places will require a TEFL certificate to teach and you will need it simply because of that. Some types of schools require it, and certain countries and regions require it. Which types of schools require TEFL? TEFL certifications are usually used to teach in language schools or through language agencies. In some countries (often where it’s easier to get a work visa), you can use it to teach in private or public schools as well. If you’re interested in teaching at a foreign school abroad that is run by an English-speaking country (such as the British Council), teachers are usually expected to have more extensive experience and education to teach English. For teaching in these types of institutions, you should definitely have a TEFL certification that you got in a classroom (not online), and probably want something more respected like the CELTA. In some countries, you must have a TEFL certificate to be hired at a language school. In some countries, they will be happy to see simply that you have a little experience, even if it’s volunteering. In some countries, you’ll get hired on the fact that you speak English (and not always natively). There is also a range of all of these within countries, usually based on how well they pay and how good of a school it is. (Read about exceptions under FAQ at the bottom). In South America, language schools will ask for your TEFL certificate. Some will simply ask if you have it, many will ask to actually see it. If you plan to teach English and get paid for it in South America, get a TEFL. Most brands of TEFL are accepted here, but if you have a more random one some higher-end schools may ask you to undergo additional unpaid training. Usually though, all types of certificates are accepted. More formal than South America, you will definitely need a TEFL certificate to teach English in Europe. You can use any brand of TEFL, but I would personally suggest avoiding the cheap online ones for teaching in Europe more than anywhere else. With so many strong English speakers here, you need to stand out and actually be qualified, and Europe is not short on qualified English teachers. Go for a CELTA or do a well-known TEFL course in one of the countries as the others are more obvious “shortcut” certifications. Teaching English in Asia means having a certificate (whichever it may be), and having it with you. If you are teaching in a local school, any type of certification is usually just fine. For example, things are more laid back in Southeast Asia in places like Thailand. They will ask to see your certificate, they may ask you about your course, but they will honor that you are certified. If you plan to teach in places that have more formal applications and pay higher, such as Japan or China, they will usually honor any certification but prefer the more impressive ones (like CELTA). Most TEFL courses in Africa are not as basic as other locations. Rather than taking just the course, they are usually part of more inclusive programs (sort of like study abroad), where everything (including jobs) are part of the same program. Decide which country you want to teach English in and research their requirements specifically, because it may vary within regions. You can find many bloggers who have taught English abroad and often are happy to share advice on it (for example, you’re welcome to contact me on teaching English in Brazil, Peru or Thailand). Try to get a solid answer on which type will be expected where you plan to go. 1. Do you need a TEFL certificate if you already have English teaching experience? If a country or school says you need a TEFL, you need a TEFL. Perhaps some will make exceptions for teachers with prior English teaching experience, but that school in Korea probably doesn’t have any context for your experience back home in Texas. You may have been an English teacher for 2 years in the USA, but was it a good school? Do you know how to teach students who don’t speak any English? How do they know you actually taught there? They usually don’t have the means or time to investigate and tend to be wary of students who claim experience but didn’t take the plunge on the certification. A TEFL is the standard for knowing your ability, and you should assume you’ll need one if they say you’ll need one. (Also, it’s very important to note that teaching English is very different than teaching English as a foreign language. If you previously taught English to English speakers, then you will appreciate the course, but perhaps can take a simpler one as you won’t need the extensive grammar review). 2. When certain countries or schools “require a TEFL”, do they always check? No. Not always. Honestly, some travelers ignore that certain places require TEFL and see what they can get away with. Some people don’t want to spend the money. Some people fit under the umbrella of the last question and don’t want to pay for the piece of paper when they know they have the knowledge. Whatever you’re situation is, I’ll be honest and say that not everywhere will check (a TEFL school will never admit that; neither will a language school who tells all their clients their teachers are certified). People who try to work around the requirement usually take one of the following approaches to either, a.) lie and say you have one and hope they don’t ask to see it, b.) go in for interviews without ever confirming the requirement and hope it never comes up, c.) admit you don’t have one when asked but try to prove your ability/experience at that point. The biggest thing is that training in the TEFL is pretty uniform, and pretty specific. There are certain keywords you learn, methods, etc. They usually don’t ask to see your certificate because it’s clear while speaking to you if you have done the course or not. If you haven’t, it will usually be obvious within the first few minutes of the interview. 3. In these countries that “require a TEFL”, does every single school require a TEFL? That’s the other grey area. No, they don’t. In almost every country, you can probably find some low-quality, budget language school that will just be excited to have their hands on a native speaker, they will blatantly admit they don’t care if you’re qualified. For example, BRASAS in Brazil. They hire South Americans who aren’t even Intermediate-level speakers themselves. They don’t care, they just need people to churn out the courses. You will be paid minimally though, and in this case you should probably not bother teaching English because you’ll be paid better to bartend. As a temporary solution though, there is always somewhere that is going to be lenient. 4. Do you need a TEFL if you want to just teach private classes, not in schools? Not technically, this depends on you. When I taught in Peru, I simply found students on my own, taught in cafes, and never taught for a school. Nobody ever asked to see my certification. A few people asked where I was trained, but that’s it. However, I would never have had the knowledge to actually run full-on grammar classes myself if I hadn’t done the course, and taught professionally for 9 months so far. Even then, I had to prepare thoroughly for my classes. If you want to teach private conversation classes with advanced students? Nothing more? You can definitely do that without a TEFL certification. These students don’t care if you’re certified, they just need someone to talk to and practice with. These students will become friends, and it’s easy money, so don’t risk it by lying and saying you’re certified if you’re not. You don’t need to be for conversation (just be great at carrying conversation on for a long time!). 5. Even though the cheap online TEFL courses aren’t as recognized, is it better than nothing? Yes! If you’re looking at a country and everyone tells you that you NEED a TEFL for it, that’s when I would be wary of the cheap options. Those countries that don’t check as much? That’s when I would recommend a cheap online one (if that’s your only option). Then, you’re doing it more so you can learn a little, and you have the paper in case anyone asks. 6. Why should I do TEFL with a classroom versus online? Like I said above, the online is a shortcut, and the bare minimum. If you plan to teach in a classroom, you will probably feel very unprepared having never taught humans before doing it as your job. I explained the value of the practice under “Do you need a TEFL to know how to teach”, and I think most teachers would agree with me. If you want to teach long-term, or in multiple countries that require TEFL certificates, then you’ll also probably want the TEFL with classroom as it’ll look much better when applying for jobs and make you feel confident each time you apply in a new place. If it’s meant to be a side thing as you live abroad and you just want to have it, but aren’t set on teaching English for a long period of time, the cheaper online options should be enough (again, check based on the country you’ll be in). 7. How long do you need to teach for it to be worth it? Does it pay for itself? Yes- If you plan to teach for 6 months or more, at any point in your life, a TEFL certification in a classroom will pay for itself and is worth the cost (that’s for a $2,000ish one). You’ll make that much money in less time, but you be using it to live. You can actually be replacing the money you used to pay for it after 6 months if you want to (roughly- depends on where you teach). You’ll make the money back in Northern Asian countries and the Middle East most quickly, Europe next and South America and Central America last. Depending on your lifestyle and spending, you can save it up again sooner or much more slowly. 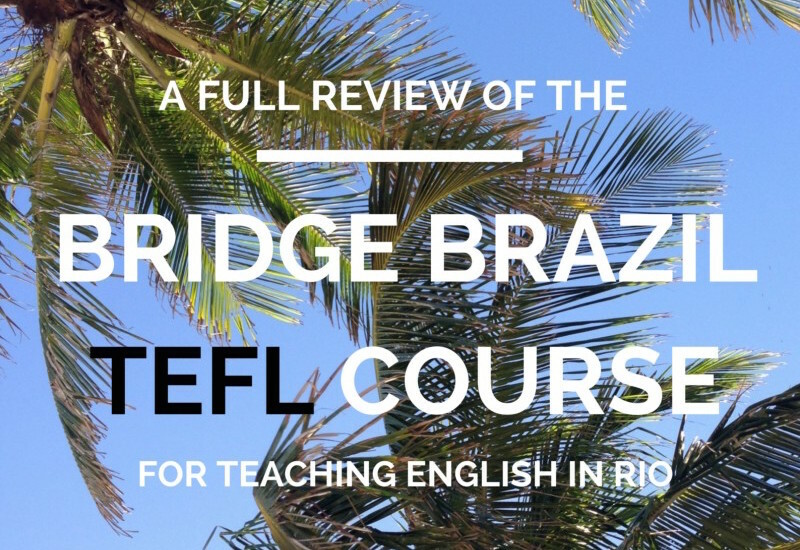 I personally did the Bridge Brazil TEFL Course in Rio de Janeiro, where the TEFL certification was required to teach English. I found the most value in what I actually learned in the TEFL course, even though every school I applied to in South America asked to see my certificate. Once you decide where you want to teach English abroad, you can quickly determine if you will need a TEFL certificate to work and which type of TEFL certificate best fits your needs. Whoever you are and wherever you are, TEFL or no TEFL, teaching English abroad is an amazing experience and the most important thing is that you’re doing it! If you have any questions about teaching English or TEFL certifications, feel free to ask me in the comments below! I’m happy to answer however I can, or help you find the resources you need.